The Los Angeles Rams could struggle early with a stacked roster in 2018. The Los Angeles Rams are a prime example of how fast a dire situation can be fixed with good coaching. Sean McVay joined the Rams last year as an unknown coach in his early 30s with the daunting challenge of turning around a team that ranked last in points scored per game. 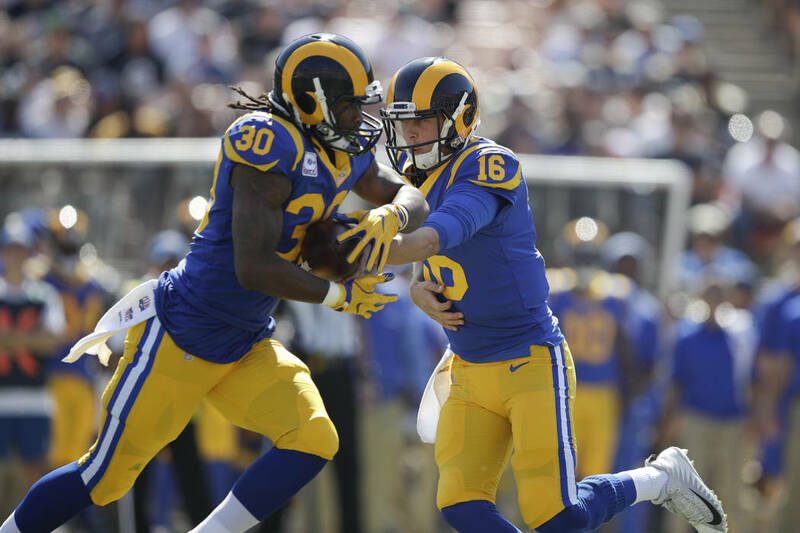 McVay enters this season viewed as an offensive genius with the 2017 top scoring offense, featuring Offensive Player of the Year Todd Gurley at running back and rising quarterback Jared Goff, who bounced back from a dreadful rookie season. The Rams are no longer under the radar and spent the offseason focusing on the defense by trading for standout cornerbacks Aqib Talib and Marcus Peters. The Rams also signed former All-Pro defensive tackle Ndamukong Suh, stacking Los Angeles on both sides of the ball. The Rams are minus 180 favorites to repeat as NFC West champions and have the second-best odds to win the Super Bowl at 10-1, according to the Westgate sports book. Los Angeles won the offseason, but history has shown teams that are busy in March usually don’t see the results they hoped for in the regular season. Remember the “Dream Team” the Philadelphia Eagles assembled in 2011? They signed nearly every top free agent, such as Nnamdi Asomugha, and traded for Dominique Rodgers-Cromartie. The Eagles were the biggest disappointment that season with an 8-8 record. Expect the Rams’ defense to struggle early. The team is shorthanded at defensive end and linebacker. The Rams will still apply plenty of pressure with 2017 Defensive Player of the Year Aaron Donald. McVay might have his hands full with a star-studded roster, but the rest of the NFC West is still a year away from catching up. The Rams will be fine, but don’t expect a dominant season. The Cardinals could be a sleeper team to make a run at a wild card spot with new coach Steve Wilks. Star running back David Johnson is back after missing most of last year with a broken wrist. He’ll get handoffs from quarterback Sam Bradford, who can’t be counted on to stay healthy. The Cardinals drafted UCLA quarterback Josh Rosen to guide them in the future. Wide receiver Larry Fitzgerald is back to add to his Hall of Fame-worthy resume. The defense is led by pass-rusher Chandler Jones and cornerback Patrick Peterson. 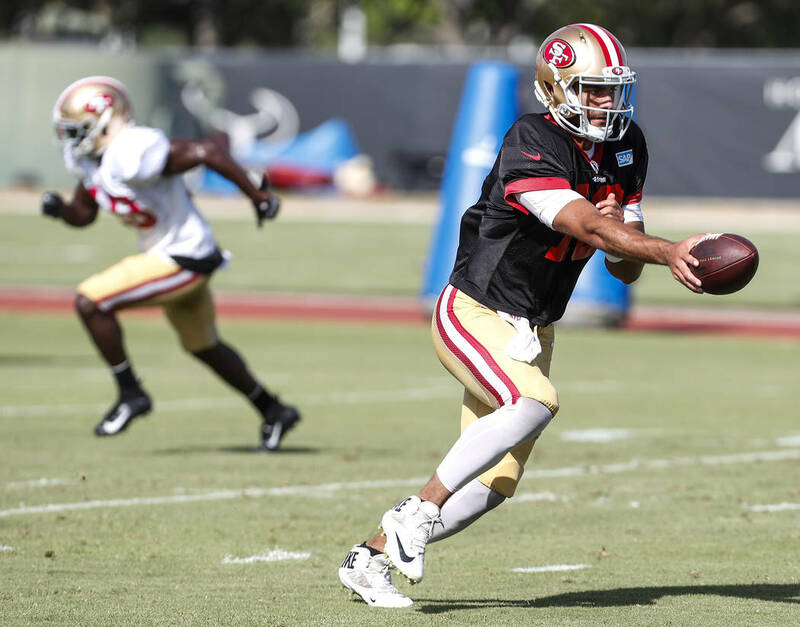 Expectations are high for the 49ers after they finished 2017 on a five-game winning streak thanks to the heroics of quarterback Jimmy Garoppolo, who joined the team halfway through the year in a trade with the New England Patriots. But let’s not forget the 49ers started 0-9 without Garoppolo under center. This team still has plenty of work, but it’s heading in the right direction under coach Kyle Shanahan. Defenses will adjust to Garoppolo. This season will prove if the Garoppolo hype is real. The Niners struggled mightily on defense last year but added former All-Pro cornerback Richard Sherman. The young defensive line should be a strength. Times have changed in the NFC West. In recent years, the Seahawks were often penciled in to win the division. Now they’re tabbed to finish at the bottom. Seattle’s defense is no longer led by “The Legion of Boom.” There are many new faces on defense outside of safety Earl Thomas, who is pushing for a trade or a new contract. Quarterback Russell Wilson will keep this team competitive, but the Seahawks are in rebuild mode.